NEW YORK, NY – November 11, 2012 – Acclaimed operatic soprano Alyson Cambridge, Cuban roots recording artist Jose Conde, and noted health care advocate Wendell Potter joined a downtown crowd of supporters and philanthropists Friday night at New York City’s Porsche Design for the Eric De La Cruz Hope For Hearts Foundation’s Autumn Fundraiser. The event raised money for heart transplant patients in need as well as the American Red Cross’ efforts to provide relief to those across the region suffering from Hurricane Sandy. Themed “New York: We’re All In This Together,” the event featured speeches and entertainment as well as a charity raffle and silent auction. 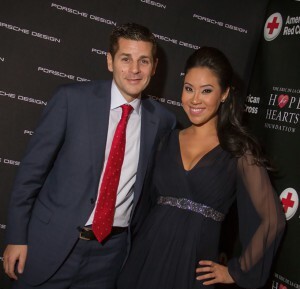 The evening was co-hosted by Comedy Central star, CNN contributor and Huffington Post political blogger Dean Obeidallah (pictured left) and television news anchor Veronica De La Cruz (pictured left), who founded Hope For Hearts in 2010 after the death of her brother, Eric. 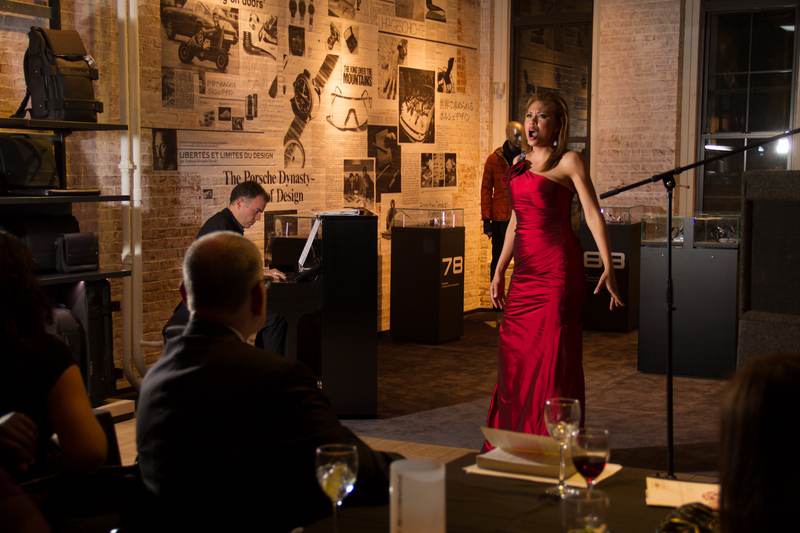 SoHo’s Porsche Design was the setting for the inspirational fundraiser. A cadre of guests from the celebrity, fashion, music, and media worlds turned out to attend the dinner event and support those affected by Hurricane Sandy. The evening’s Latin-themed festivities began with a cocktail hour sponsored by Veev Vita Frute and Ciroc Vodka. Comedian Dean Obeidallah kept the crowd laughing throughout the evening as co-host and guests enjoyed a buffet dinner featuring dishes from celebrity chefs. Dinner was followed by live performances from the Cuban-centric guitarist Jose Conde, internationally renowned lyric soprano, Alyson Cambridge (pictured right) and the well-known flamenco/tango dancer, ZyriaB. 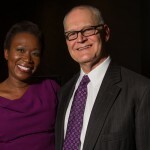 De La Cruz also took the podium to offer the moving, personal story behind the formation of the non-profit and lead into the night’s guest speaker, Wendell Potter (pictured below), who was introduced by fellow news analyst, Joy Ann Reid (pictured below). Potter, a 20-year insurance industry veteran who became an outspoken critic of industry abuses during the national debate over health care reform. 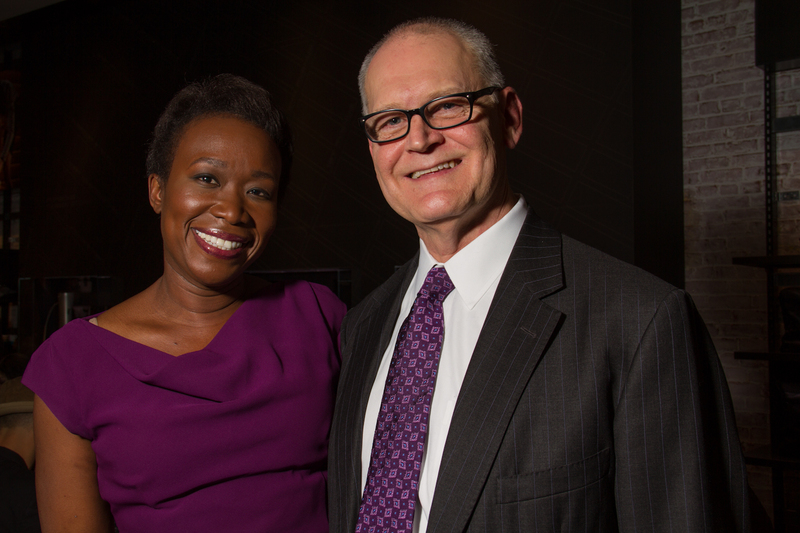 Potter shared his insight into the future of health care while offering the personal stories which motivated him to speak out and advocate for the uninsured and underinsured. Adding to the excitement of the evening was a silent auction that featured a trip to Thailand, tickets to The Jimmy Fallon Show and other items graciously donated by supporters. Guests also had an opportunity to pick up raffle prizes and gift bag items from numerous supporting organizations such as: Exhale Spa, Glow Jobs, Saks Fifth Avenue, Brio Restaurant, Johnny Utah’s, Kings Cross, Whitman’s, Empanada Mama, Judith Ripka, Chanel, Sweeping Beauty, Intermix, Sports Club LA, House of Jai, Pop Chips, Suga Tooth, Birch Coffee, Head Massage, Dr. Harvey Jay, and Porsche Design. “On behalf of the Foundation and the heart transplant community, as well as the American Red Cross, I would like to thank the individual attendees, corporate sponsors and hard-working volunteers for their generosity,” stated De La Cruz. Sponsors included: Bagatelle, Brio NYC, Ciroc, Glow Jobs, Porsche Design, Saks Fifth Avenue, Steinway & Sons, Todd English’s Olives, and Veev Vita Frute. The Eric De La Cruz Hope for Hearts Foundation is a 501(c)(3) non-profit organization that provides financial assistance, educational resources and advocacy for heart transplant patients. Founded by TV journalist Veronica De La Cruz in honor of her brother Eric, the Foundation exists to fulfill his wish that no heart transplant patient would ever again have to suffer because of a lack of insurance or the inability to pay for life-saving medical treatment. If you would like to learn more about the Eric De La Cruz Hope For Hearts Foundation, please visit the organization’s website at www.hopeforheartsfoundation.org. For more information, contact Amy Rosi at Aros Communications at arosi@aroscommunications.com.